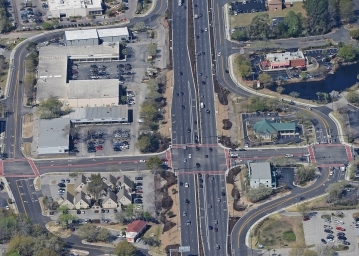 The Johnnie Dodd’s Boulevard Improvements Project was constructed along U.S. Route 17, known locally as Johnnie Dodd’s Boulevard in Mount Pleasant, South Carolina. 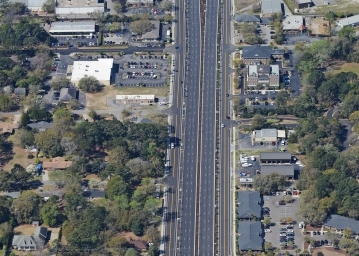 This was approximately three miles of mainline improvements and upgrades to associated frontage roads and side streets. 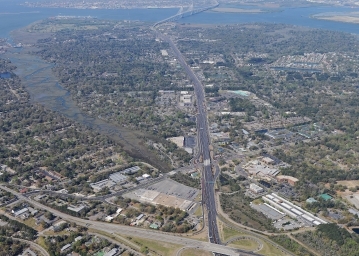 The project began north of the Arthur J. Ravenel, Jr. Bridge and extended south of I-526. The existing Johnnie Dodd’s Boulevard was widened from two lanes to three lanes in each direction including curb and gutter. The frontage roads were widened to provide one lane in each direction with 4-foot wide, marked bike lanes including curb and gutter and sidewalk. 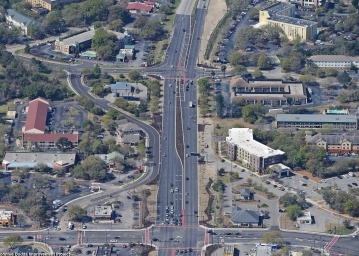 A grade separated interchange carrying Johnnie Dodd’s Boulevard over Bowman Road with three lanes in the southbound direction and two lanes in the northbound direction was also constructed together with widening of Bowman Road to six lanes under Johnnie Dodd’s Boulevard with transitions to the proposed lane configurations and improvements to frontage road intersections with side roads. ICE was responsible for project management, quality management, roadway design, utility coordination, and survey verifications for both the roadway and bridges. 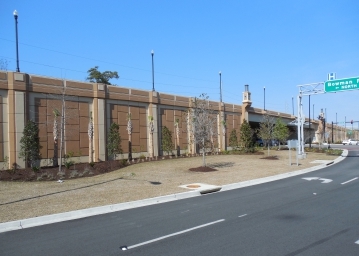 This project was awarded the ACEC 2012 Engineering Excellence Award. 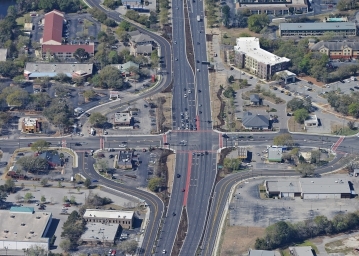 ICE was the Design Project Manager for this widening and mainline improvements project in Mt. Pleasant. 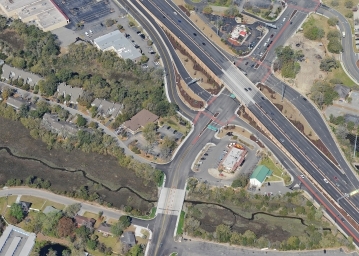 The design included improvements to the corridor with redesigned intersections, roadways, drainage facilities, sidewalks and bike paths, landscaping and a 161’ single span bridge at US 17 and Bowman Road.